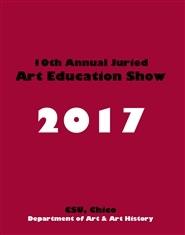 Welcome to the 10th annual juried “Art Education Students” art exhibition (April 13 to May 4 at the BMU 3rd floor gallery), California State University, Chico. We are very pleased to celebrate the 10th anniversary in 2017. 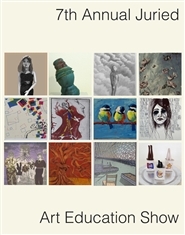 This 10th anniversary catalogue includes 23 artists’ artworks that were selected from more than 50 submissions. Enjoy looking at the quality of the art education majors’ artworks and reading their statements. 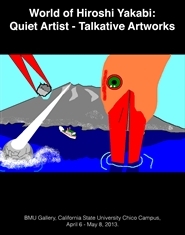 This is a catalog of an exhibition of the works of Hiroshi Yakabi, an autistic artist from Amami, Japan. This catalog includes the range of his work over 15 years showing the growth and sophistication of his artwork from age 4 to 18. The exhibition was held on the CSU Chico campus and will travel on to other venues in the United States and internationally. 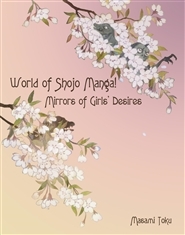 Beautiful and gourgeous color exhibition catalogue for a US touring exhibition of " World of Shojo Manga: Mirrors of Girls' Desire! (2013 - 2015)." 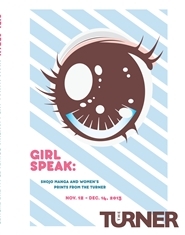 This includes brief info of the characteristics of shojo manga (girls' comics in Japan) and also 12 artists' profiles, artworks and interviews. Enjoy (^_^)!